Swivels and connectors are designed to fit anchor shanks made from plate material, as is the case with most modern anchor designs. They articulate perfectly in one direction, vertically, but not at all in the horizontal. 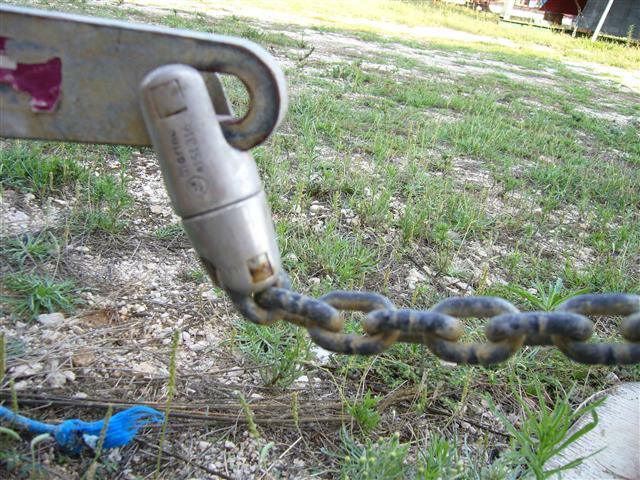 Better swivels, such as Kong and Osculati, have a Safe Working Load (SWL) that is actually the load that the swivel can take in bending, assuming the anchor to be wedged at 90 degrees to the pull of the chain. Other makes have no such information but it can be assumed that all are considerably weaker in bending than for a straight line pull. There is another, far more common way in which bending loads can be applied to a swivel. 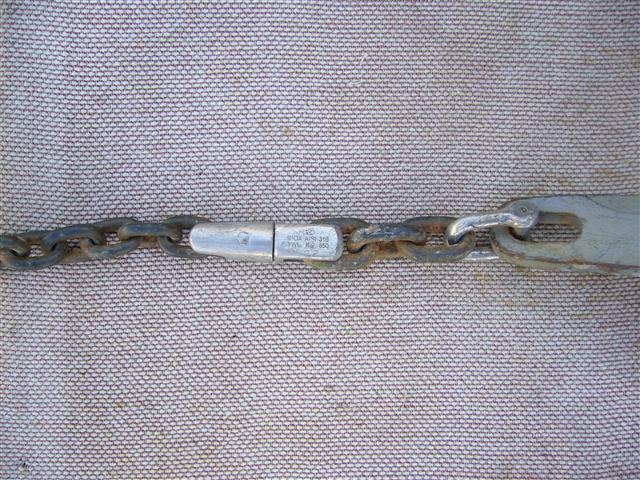 This is due to another characteristic of modern anchor designs with plate shanks, which commonly have a slotted hole for attachment of the eye part of a shackle, allowing the shackle pin to pass through the last chain link. It is all too easy for the swivel to slide down this slot and become wedged, with the result that a bending load is applied to it. 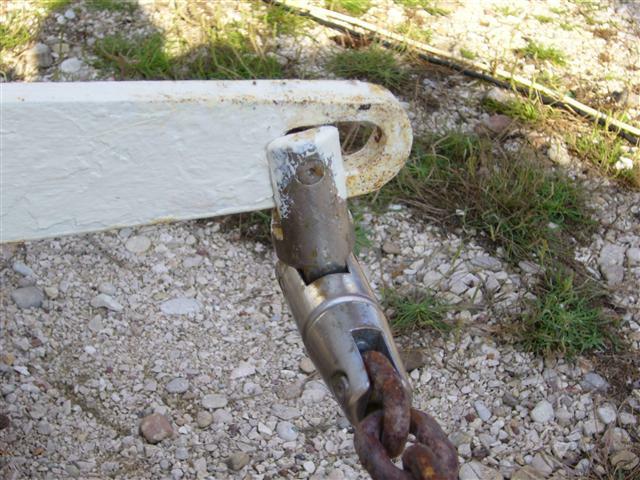 I first realised that this was a problem when recovering my anchor after first fitting a swivel. On three or four occasions when the anchor emerged from the water it looked like this photograph and may well have been like that when the boat was lying to the anchor. The strength of the swivel in bending is about a quarter of its strength in a straight line pull. 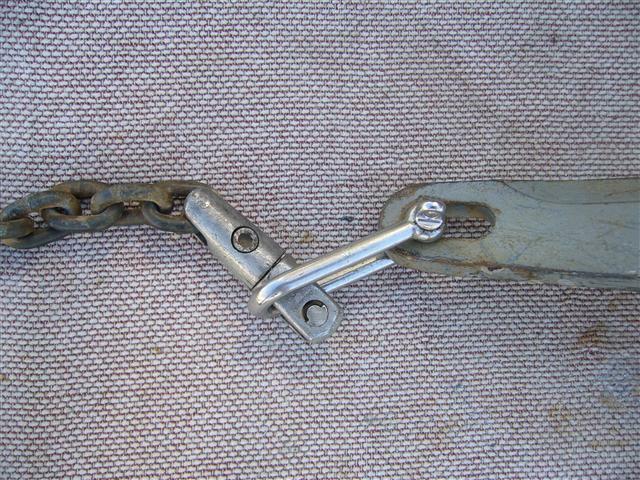 My first attempt to overcome the problem was to add a shackle between the swivel and the anchor. However, it did not take long to find that this did not solve the problem, when the cheeks of the swivel wedged between the shackle and the anchor. Next I tried using a bigger shackle to avoid the initial problem but this was also not entirely satisfactory. A double jointed swivel does not solve the problem and in the example shown the somewhat undersized swivel jaws appear to be exacerbating the lack of articulation. Ultimately I came up with the solution shown below, which I have now been using for several seasons with no problems whatsoever. Many people have now used the same method and I have seen it on websites worldwide since I wrote it up for a YM article. This shows the arrangement I am using. 8 mm anchor chain, 8 mm Kong swivel, three links of 10 mm chain, 10 mm Wichard 17/4 PH shackle with countersunk pin. I believe that two links of 10 mm chain would work perfectly well. It is not possible to mouse a countersunk screw and several alternative methods have been proposed, most of which prevent future removal of the screw. I carried out some tests using Loctite 242, described as a general purpose, medium strength thread lock. I found it very effective, even after nearly 6 months of immersion in seawater. The unscrewing torque showed no deterioration in this period. 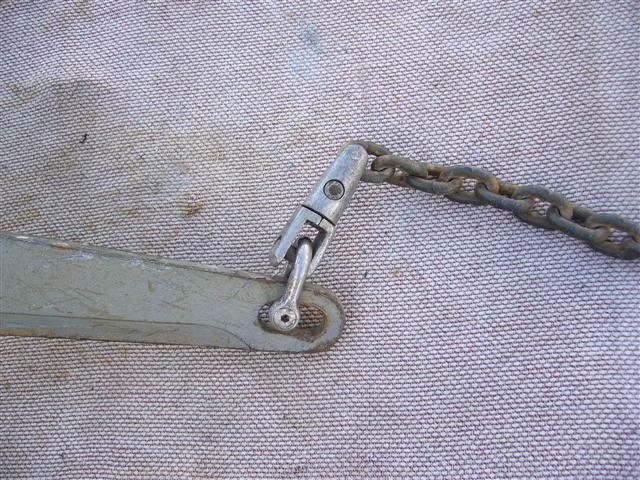 I have now used it on my Wichard shackle for around four years, with no incidents.